Chris became interested in physiotherapy at a young age through playing competitive baseball and basketball throughout his childhood. As a teenager he played basketball for the Team New Brunswick under 15 and under 17 teams, representing the province at the Canadian championships. He was also named high school player of the year for the New Brunswick Basketball Association in his senior year. Through many trips to physiotherapy, Chris developed an interest and decided to pursue a Bachelor’s degree in Kinesiology at University of New Brunswick in Fredericton. He then attended Dalhousie University to obtain a Master’s degree in Physiotherapy. 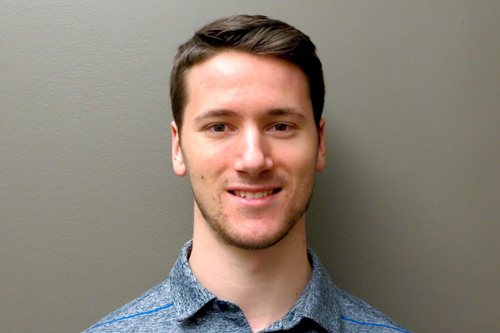 After graduating from Dalhousie, he has continued his education by learning about the MacKenzie method of diagnosing and treating low back pain. Chris is passionate about exercise and using it as a tool to empower patients to recover from their injuries and better themselves physically. He also educates his patients regarding their condition and works alongside them in their recovery, showing them ways that they can reduce their risk of re-injury. Book an appointment with Chris!